We are now more than half through our travels in India with Kamala Gopi. 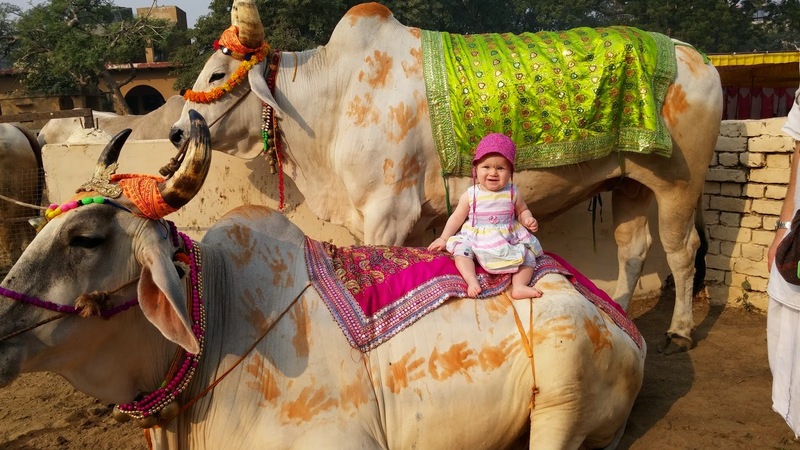 Her first visit to the Holy Dhams Vrndavan and Mayapur. We started with 8 days in Vrndavan, and as always it was too short. It was amazing to see Radhe Shyam again and to meet all our nice friends. I had really missed them since my last visit in 2012. Kamala Gopi got so many blessings. Everyone we met blessed her with a long life in Krishna Consciousness. I love blessings. Without the mercy from the Vaisnavas we are doomed. Gurumaharaj often speak of the "mercy-cup"….we have a cup that fills up with mercy…but the more we share it gets faster filled up. All disciples of H.H. 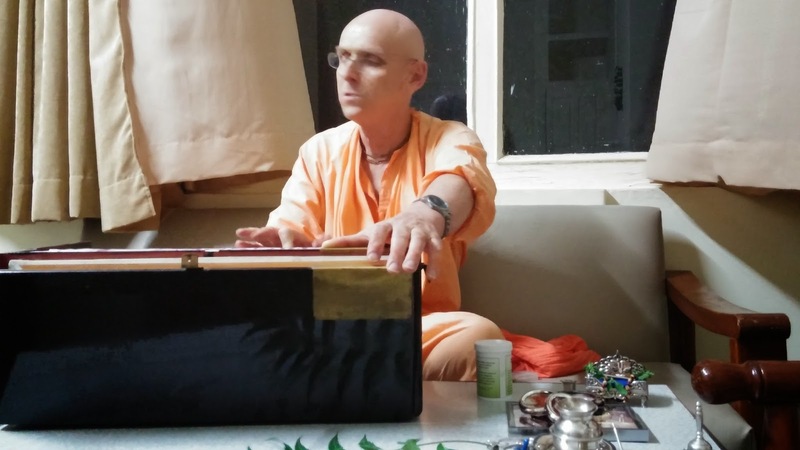 Kadamba Kanana Swami also met in the evening for a Govardan puja for Giriraj. It was really ecstatic! We made a BIG mountain of fruits, dry fruits and sweets and we all danced around Giriraj. Giriraj Maharaj Ki Jay! After Vrndavan we went to Mayapur. Earlier this year we bought an apartment in Mayapur, and now, for the first time we went to live there. Its a cozy 1 bedroom, 1 living room apartment, with nice kitchen and bathroom. We were also so fortunate to have our brother Martin staying with us for 1 week. These last says of Kartik in Mayapur are the most ecstatic. Its H.H. Jayadvaita Maharaj's Vyasapuja and Gurumaharaj is here. And on the last day of Kartik its rasa purnima. There will be a great celebration here. Will post some pictures after the celebrations!! !